On what the Paris Agreement for climate change (COP21) should have decided last Saturday, no Russian business figure has been as outspoken as Oleg Deripaska (lead image), chief executive and control shareholder of the Russian aluminium monopoly, Rusal. In the 31-page text of the Paris Agreement, released late on Saturday, there is no carbon tax; not even a binding emission cut. Read the agreement in full here. For a handily indexed version, click to open. Counting references, the Paris agreement mentions the general term “finance” a total of fifteen times. “Ambition” comes next with 12 references. Specific terms like “pay” and “cost” rate 4 mentions each; “budget”, 2; “target”, 2. “Tax” scores zero. Coal, natural gas, and oil aren’t mentioned either. Carbon (5 mentions) is a better indicator of the negotiators’ pact, since cutting carbon emission volumes is, according to the warming theory of climate change, the key to reducing temperature growth. The agreement calls for “the important role of providing incentives for emission reduction activities, including tools such as domestic policies and carbon pricing.” But that’s the one and only line of the agreement where carbon and price have been mentioned together. On the issue of what agreement the 195 conference parties have reached on the price to be paid for carbon pollution and climate control, the agreement is clear — no precise or uniform terms have been settled at all. Article 5 recommends a scheme of “results-based payment”. Article 9(3) suggests this should come from a “wide variety of sources, instruments, and channels… noting the significant role of public funds…” As for deciding how much of those public funds will be spent, there is also no agreement. “Each Party shall communicate a nationally determined contribution every five years in accordance with decision 1/CP.21 and any relevant decisions of the Conference of the Parties serving as the meeting of the Parties to the Paris Agreement and be informed by the outcomes of the global stocktake referred to in Article 14.” (Article 4.9) “All Parties should strive to formulate and communicate long-term low greenhouse gas emission development strategies, mindful of Article 2 taking into account their common but differentiated responsibilities and respective capabilities, in the light of different national circumstances.” (Article 4.19). 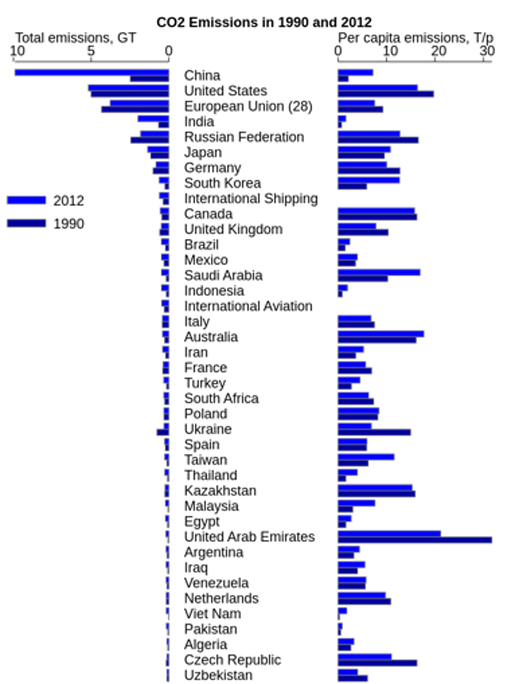 The Russian position in the climate change negotiations can be followed in detail here. 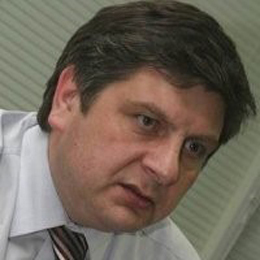 Understanding exactly what the Russian position has been in the run-up to the December 12 agreement is difficult because the lead negotiator, Alexander Bedritsky, a Kremlin ranked plenipotentiary, says as little as possible, and then only on scripted occasions. He doesn’t answer press questions or give impromptu press conferences. The Kremlin has also played down his significance. Putin didn’t call him in for a ceremonial send-off to Paris. There was always the risk in the Paris negotiations that contributions, bottom-up or laid-back, might be overtaken by commitments, obligations, and requirements. To help make sure this wouldn’t happen, one of the Russian lobbyists for COP21, Mikhail Yulkin, has been on guard to ensure that higher costs for Russia’s principal commercial interests wouldn’t be imposed. “There is an understandable desire not to incur unnecessarily stringent obligations,” Yulkin said last year. Yulkin (right) , one of the leading Russian analysts of climate change, is head of the Climate Change Working Group of the Moscow business lobby, Russian Union of Industrialists and Entrepreneurs (RSPP). He also sits on the government’s commission on climate change which includes ministries and public sector representatives. 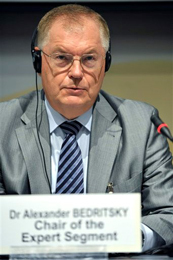 He is not a direct critic of Bedritsky; he acknowledges his hands are being tied by corporate resistance to costs as the economy is pressured by falling commodity prices and war sanctions. Deripaska’s Rusal says it is already meeting the Russian emissions target. Its latest sustainability report claims the company “has set a goal for UC RUSAL enterprises to meet by 2020 atmospheric emission standards established by the laws of countries where the enterprises operate.” That means that in Guinea, where pollution from the Friguia alumina refinery has drawn nationwide protests, the emission target will be as low as the government in Conakry can be persuaded to put up with. For more on the conflict over Friguia, read this. The public record of Rusal’s environmental compliance is less green. In Krasnoyarsk krai, the Achinsk alumina refinery has been fined last year and again this year by the local prosecutor after it was found to have inflicted significant damage through the release of polluted water. 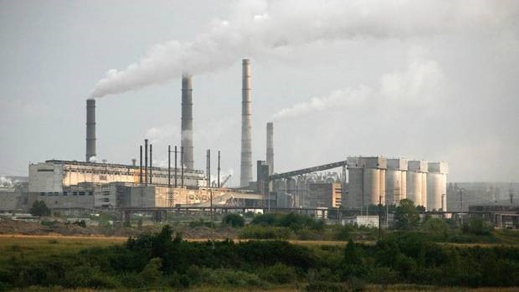 Studies of environmental pollution and ill-health due to air and water emissions have revealed that cities where Rusal operates aluminium smelters — Novokuznetsk, Bratsk, and Irkutsk – score in the top-10 of the country’s urban poison index. The Bratsk smelter, in Irkutsk region, is reportedly the principal source of air pollution in the region, at a level government inspectors have declared publicly to be “critical”. At Achinsk (below), local press reports claim Rusal is refusing to pay the fines of almost Rb480 million; it is threatening instead to close the refinery and turn its workers out of their jobs.